CHANGING SCENE: Macy’s will convert 16,000 square feet of its Mall of Louisiana location into a discount outlet, the latest sign of rapid evolution in the commercial retail sector. Kohl’s will downsize four of its Louisiana locations—including the one in Baton Rouge—by some 25,000 square feet each. Macy’s is repurposing 16,000 square feet of its Mall of Louisiana anchor store into a discount outlet called Macy’s Backstage. Winn Dixie’s parent company is filing for bankruptcy, throwing into question the future of its big box supermarkets throughout the south. And Toys R Us declares it’s closing all 800 of its retail locations across the country, which locally means an additional 59,000 square feet of inventory will soon be dumped on an already oversaturated market. And this doesn’t even include the accelerating retail death at Cortana Mall. All of which begs the question of how many more retail stores are heading toward a similar fate? And who or what will fill all these empty or less-than-full big box buildings? It’s anyone’s guess. But local real estate brokers say brace yourself because the “Amazon effect” that is rendering traditional brick-and-mortar stores obsolete isn’t going to slow anytime soon. 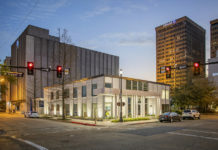 On the contrary, the situation is expected to get worse, meaning major changes for the traditional retail spaces that housed big box stores in Baton Rouge and across the nation. Nearly 50 vacancies of at least 15,000 square feet of commercial retail space—some two million square feet in all—are listed for sale or lease in the Capital Region, not including the massive, one-million-square-foot Cortana Mall, which is for sale. 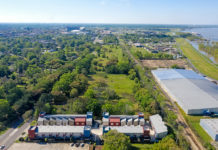 Some of that available space is located in desirable new retail centers like Highland Park Marketplace, the soon-to-be completed Nicholson Gateway, Long Farm, Rouzan or River House, a mixed-use development on the site of the former Prince Murat Hotel. Much of it, however, is in older strip centers or is sublease space. The 16,000-square-foot former Books-a-Million in Towne Center. The nearly 58,000-square-foot Albertsons on Range Avenue in Denham Springs. The 26,000-square-foot Sky Zone facility on Industriplex. It’s difficult to market those kinds of spaces, many of which were built to suit a particular tenant and, therefore, have a unique configuration that may not be easy to refurbish for another. The excess inventory only exacerbates the problem. • Online distribution: Retailers also will be repurposing space for e-commerce uses. Sam’s Club, for instance, closed its Cortana location as part of a company-wide downsizing early this year, but the company is keeping the building and converting it into a distribution fulfillment center for Sam’s online business. Similarly, Target and Walmart now offer home delivery of orders placed digitally and have dedicated spaces in their big box stores to process the orders. • Repurposed space: Retailers and the shopping center owners that lease to them are repurposing unused space for nontraditional uses, much as the anchor space in Cortana Mall once home to Mervyn’s and, before that, Service Merchandise, is now a Virginia College location. In other markets, malls have been converted into mixed-use developments and senior living centers. 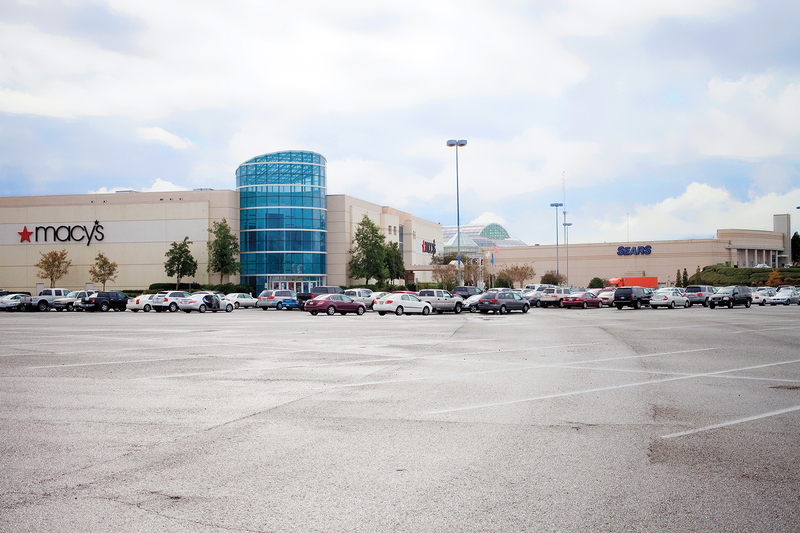 Investors that have looked at acquiring Cortana have suggested such uses for the struggling north Baton Rouge mall, but so far none have been willing to take on such an ambitious project. • Look local: Finally, shopping center managers are leasing vacant space once occupied by national brands to local retailers and service tenants like health clubs, nail salons and restaurants. In the past year alone, the Mall of Louisiana has lost such national retailers as hhgregg, Gymboree and The Gap. Among its new tenants are fitness club Burn Boot Camp and massage parlor Amazing Chi. Looking for good news? Despite the growing inventory of commercial space, shopping center vacancy rates locally—not including the two malls—is only at 10%, which is about the national average. Local real estate brokers say that’s encouraging and shows the Capital Region market is healthy. What’s more, while big box retailers and traditional malls are facing a bleak future, smaller shopping centers, as a rule, are not. In fact, there is a lot of demand for new space and clearly—as a drive around Baton Rouge will show—a lot of new retail development underway. Most of that space is already preleased, according to local brokers, who say banks aren’t lending on speculative retail projects. Again, though, those tenants will be more geared toward food, fitness and service, less toward selling clothes, shoes and home accessories. 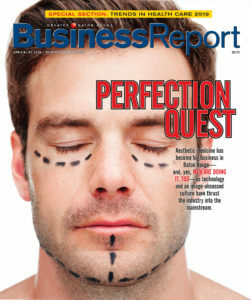 In an era where customers are increasingly making routine purchases online, what choice do retailers have?